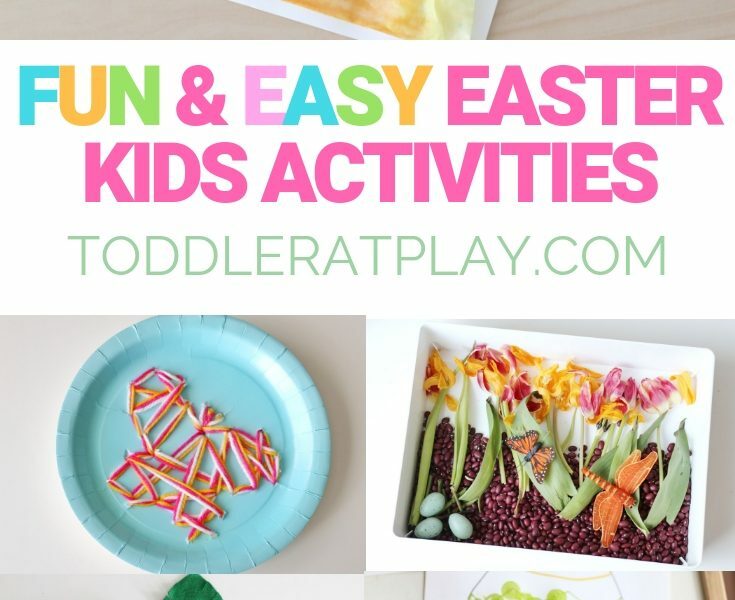 I wanted to make this fun little round-up for you guys with all of our favorite Toddler At Play Easter activities and crafts, with a few Spring related ones included. All of these are easy to prep, inexpensive and most importantly super fun for the little ones! Create this exciting craft for your kids this Spring, it will only take a couple minutes. They’ll love revealing secret patterns and designs on their egg and make it stunningly beautiful! Why toss that old bouquet? Create a beautiful and exciting sensory play idea by dumping a few beans, withered flowers and other simple add-ins. Colorful sorting idea using, non other than, the good old egg carton. Great for cognitive skills, fine motor and helps little ones learn colors! 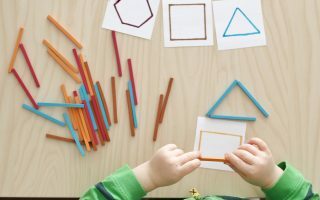 Easy to prep, fine motor activity for kids. 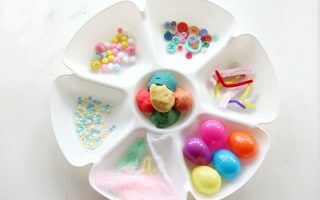 Only 3 materials needed and you’ve got yourself a busy toddler creating a gorgeous Easter yarn egg. Super easy kids craft idea for Palm Sunday! Create long palm tree branches, perfect for pretend play. How exciting is this Egg Hunt! All of the eggs are hidden inside in a bin amidst the basket filler, each one containing a secret number. Do your kids love cardmaking? This fun card involves painting a coffee filter, spreading and mixing the paint together and creating a beautiful sunrise. Dot painting is fun! And this activity is super easy to prep, kids will love it aaannd…it’s great for many areas of childs’ development. 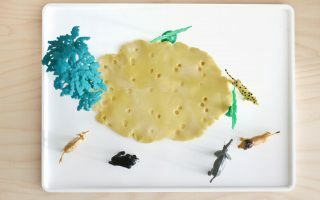 Simple sensory play idea using play-dough and a whole bunch of fun add-ins. Never-ending fun! Fun threading idea for kids. Great for fine motor, hand-eye coordination, creativity and concentration! Have fun crafting and staying busy!